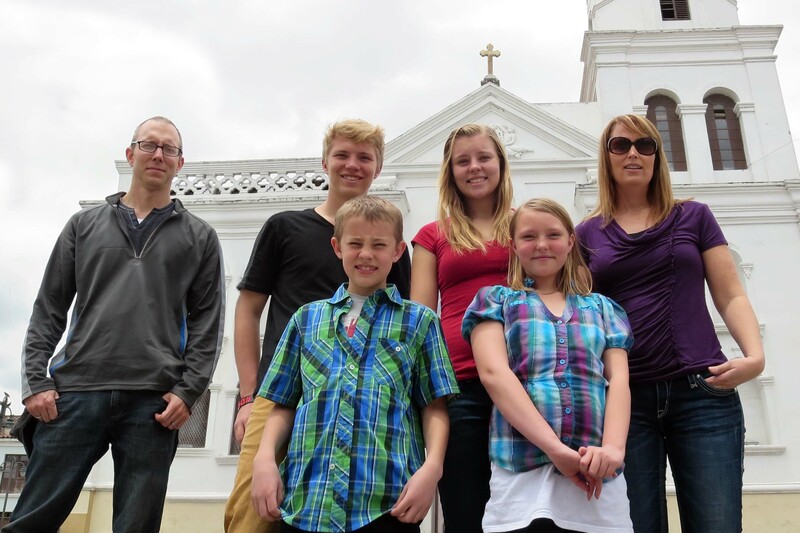 Welcome to our family blog – our travelogue, our community journal where we document our experiences living in Cuenca, Ecuador. Hopefully you’ll find it entertaining and educational. We decided to leave our comfortable but busy life in California to experience a unique culture, to try out a different way of life and to learn a new language. We also wanted to take some time to slow down, to spend time together as a family doing cool, rewarding things before our oldest children start heading off towards their own adult lives. We chose Cuenca because the weather is awesome, the city is clean and the people are friendly – but not intrusive (we’re not accosted to buy things every time we go out.) Cost of living is about a third of what we are used to in the states (partly because the definition of ‘living’ is also quite different.) After considering different options Cuenca just felt right to us. So here we are. We arrived in January 2014 and we will be here until August 2014 – unless the kids fall in love with their new home and then maybe we will choose to stay longer. We hope you enjoy following us on our adventure. Finally got on and read your entries. What Fun!! If you keep writing in that same style, you should publish this and market it to those who may follow in your gringo footsteps.